Do you remember the satisfaction as a child of finding the right Lego piece to make that perfect construction,? Or when the snap-together model finally snapped together? Perhaps it was the satisfying interlocking of the pieces of a jigsaw puzzle with a bazillion pieces and the circumference is complete. In each case, the right piece in the right place creates a sense of completion that is so tangible you can feel it. You know it’s right. Great systems architecture can be the same way. When you have been analyzing the market for months, and when a vendor finally offers up something that really begins to solve a problem in the industry and it has a capability to solve a thorny problem at scale, it clicks. When you have been wanting to create a strategy but you didn’t have the right combination of skills and capabilities, when the right people and insights come together around the white board, it clicks. When you have a very complex combination of business issues, scaling and design and the architecture comes together in a profoundly simple and elegant way, it clicks. Sometimes, when people share something with me and the discussion ensues that illuminates a problem space deeply, it clicks. Is it subjective? Yes. And because it is subjective, you have to test the assertions and hypotheses rigorously. You cannot allow bias to creep in and promulgate a problem simply through your force of will where you desire something to be true. The OST Cloud strategy is clicking with the integration of Managed Services for Cloud and hosted IaaS/PaaS for IoT and AppDev. Microsoft’s Azure on-prem solution is beginning to click. Helping clients with a roadmap to the cloud, I hear the faint sounds of clicking there. And our largest data center clients are starting to ask for help in their realization of cloud benefits (click). Failures or semi-formed solutions are necessary as we iterate in complex problem spaces because the process of hearing from customers, testing our ideas, investigating the market will allow us to sift the good from the bad and our messages will become more mature and fully formed. Some offerings will disappear under the weight of low customer adoption, and we will say, “it was good we didn’t invest too much there…” but they will be a rung on the ladder to the place where we will be ultimately successful, if we keep learning and are willing to move quickly, and when it all comes together, well, it will click. The same processes have worked in the past, I have a long list that I quickly made that reflected on many of our long-term relationships and most valuable customer engagements. It takes work. It takes listening. It takes knowing enough about the goals and long-range objectives so that you know how the pieces should fit together even through the state of the industry or the maturity of OST isn’t where you want it to be. Great artists do it. Great architects do it. Great designers do it. Great technologists do it. 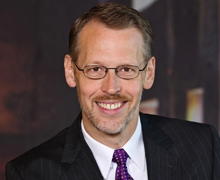 Jim VanderMey has served as VP of Technical Operations, CTO and now Chief Innovation Officer for OST. Jim has provided the technical leadership and product strategic planning for the organization since the very beginning. Jim is a technology visionary who sets the long and short-term direction for OST. He specializes in seeing the “big picture” of technology, industry trends and the business objectives supported by IT. As OST has gained an international reputation, Jim has taught and spoken at conferences in Europe, Japan, and throughout the US. Lastly, we must confess that some of OST’s peculiar culture is a direct derivation of Jim’s unorthodox style. Protected: Why Did OST Join Forces with Visual Hero? My father died in 1996 at the age of 58 from a stroke. I had a genomic analysis performed which quantified the family risk in more than the anecdotes of generations of VanderMey men dying from stroke or heart disease. In 2006 I began a series of lifestyle changes and an engagement in healthy living that continues to today: exercise, diet and mindfulness about my health. I had a stress test at a cardiologist, but I wondered about how a subtle symptom that only occasionally manifested itself in my father’s life would be seen in one or two tests. So I investigated technology I could use at home, capture during exercise and gather my own baseline, then if I began to feel anomalous rhythms I would have materials to share how the variance was manifested. Dr. Eric Topol told me about this technology when it was in the early approval stage. So now, I regularly capture my own ECG using the AliveCor app and Mobile ECG iPhone case (FDA qualified device http://www.alivecor.com/why-use-it) I have had a couple of variances which I have sent in for evaluation in order to establish my personal baseline. One of the great value of mobile health apps is moving from data to mindfulness and then changed behavior. This app along with some of the others I have used enable me to engage in the collection of data and understanding how my body reacts to my sleep patterns, my diet, and exercise routines. This is not a guarantee that I will break away from my profoundly bad family history, but it gives me an empowering tool that helps me partner with my healthcare providers. It is a wonderful tool that extends the point of care to wherever I am, and by knowing what is my normal, helps me prepare for the time when and if my genes express themselves. It’s a beautiful day in West Michigan and I am taking the time to get some work done around the house and in the garage. I decided to take the opportunity while working to monitor my breathing using the MyBreath app from Breath Research. It’s a startup company that is working with academic and medical researchers to find ways to monitor breathing using the sound capture from the iPhone microphone on the earbuds (http://www.breathresearch.com/). I am a bit of a healthcare and technology geek as those that know me well can attest to. I am a follower of the quantified self movement. But not to create a data-driven life, but rather to instill within myself a sense of mindfulness. 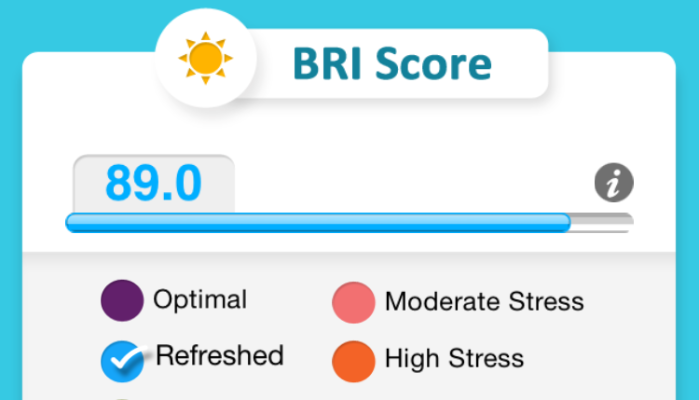 I sing in choir, so I know how I should breath while singing, but this app had me thinking about the kind of breathing I was doing with simple activity and it was interesting to watch how my breathing changed through the course of my afternoon. As I became mindful of my breathing, I realized how there was a link between my conscious thoughts, physical labor and my body’s adaptation through breathing. I am not advocating moving autonomic functions into the level of conscious thought, but I could see how this could apply nicely to an asthmatic patient, COPD sufferer, or a person with chronic emphysema. That ability to understand the linkage in normal activity to the stress factors that might cause a flare-up would be useful. I will try this again when I workout. Just to see how I can optimize my breathing to my physical exertion.